Women's red and blue Wonder Woman one-piece swimsuit. 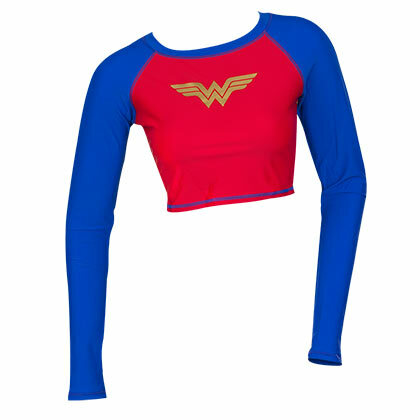 This backless swimsuit features the classic "Wonder Woman" logo. Officially licensed.